Wanting to install engineered hardwood flooring in your home? Here’s a few tidbits for you to be better informed on installing wood flooring that are engineered. Engineered hardwood flooring looks just like solid hardwood floors because it is indeed made of real wood. But in comparison to it’s solid wood flooring counter part, only the top layer is made of real wood while underneath is “engineered planks” – this is to give the wood layer stabilization from wood’s natural way of contacting and expansion. This results to greater resistance to humidity changes. Engineered hardwood floors also allows wood flooring installation in below grade or directly over a concrete sub-floor, where solid hardwood flooring is not recommended. Over all engineered hardwood flooring is an alternative flooring to install for those who are looking for a much cost effective material compared to solid wood floors. It gives the same warmth, increase in home value and beauty that hardwood floors brings in to your home. The top layer that is of real wood is constructed with plywood, lumber or medium-density fiberboard (MDF) core. This allows for the natural movement in the wood, making it stronger and more stable than a single piece of wood, perfect for humidity- prone areas like basements or homes with concrete sub-floors. Engineered hardwood floors are less likely to twist and buckle from seasonal and environmental changes. Lastly, depending on the thickness of the engineered flooring, it can be sanded and refinished a couple of times. This will allow the homeowners to take care of the wear and tear on the wood floors, throughout its lifetime. Unfinished Engineered hardwood floors can also be stained and will give you the ability to choose any stain color your heart desires. Having engineered wood sanded, stained and refinished will require additional time to complete the installation process. Pre-finished engineered hardwood floors are recommended if there is some issue in time for it cuts short the installation process. Pre-finished engineered wood floors are already stained and finished and are ready to be installed after the required period of acclimation. At the end of the day, the choice on what specific wood flooring you choose should depend on your budget, deadline to complete your hardwood flooring project, lifestyle and the location on where you want the wood flooring installed. An extensive variety of wood, color, widths and lengths are available for you. Make sure that your hardwood floors are installed professionally by experienced and licensed wood flooring installers. Doing this will ensure that the work is done right the first time and you wont lose the warranty on the wood floors you purchased. Is it time to replace your hardwood floor? Are you feeling overwhelmed by the process of choosing both a new hardwood flooring and a contractor / installer for the job? Don’t fret. Here are the steps you should take to ensure that you get the most cost-effective hardwood flooring for your budget as well as the most reliable wood floor installer in your area. Too many homeowners immediately start calling installers without the least idea of the choices involved or what to look for in a hardwood flooring company. Some homeowners even cold-call hardwood floor installers from the phone book. You need to start your hardwood flooring project by familiarizing yourself with basic hardwood flooring installation considerations. You don’t need to become a certified wood floor installer. What you should do is make a list of informed questions to ask prospective hardwood floor contractors. Asking the questions below will help you learn which hardwood flooring is best for your home and will also help you to identify contractors with whom you can easily communicate. Part of your research should also focus on the pros and cons for various type of hardwood floors, such as solid hardwood floor, engineered hardwood floor or laminate and parquet flooring. To read more about types of hardwood floors, read this article about different types of hardwood floor . Finally, look for useful details, tips, and common problems associated with residential hardwood flooring. Know how to immediately spot water leaks that can cause water damage for example. Know what wood specie will be best for your preferred hardwood flooring stain, which kind of hardwood flooring is easier and cheaper to install, but is still within your design and lifestyle preference . You should also find out everything you can about your old hardwood floor. When was it installed? What type of hardwood floor do you have? Is the sub floor leveled? Is there an existing termite or water damage that needs t be address first? Knowledge is power. What type of hardwood floor is best for your local climate? Why? What kind of wood floor would you choose for your home? Why? Which method of hardwood floor installation is best for your home. What type of hardwood flooring will have the greatest potential to save you money and will be suitable for your lifestyle? Is the hardwood flooring installer experienced, licensed, insured and bonded? What type of hardwood floor services do they think they excel? Ask for referrals? These are just a few of the possible questions you might ask hardwood floor installer during preliminary phone conversations or face-to-face when you are soliciting estimates. By the time you solicit estimates, you should have a pretty good idea of the kind of hardwood floor you want. This way, you can make an apples-to-apples comparison of different estimates. Conventional wisdom suggests that you get at least three estimates. Don’t assume that the lowest bid offers inferior quality or that the highest bid means superior quality. If you can’t identify which contractors are offering the best overall value, you need to do more research, talk to more previous customers, and ask more questions. This is your last chance to change your mind. Don’t be afraid to solicit more estimates for different hardwood flooring services. Once you’ve had a chance to talk to each of your prospective installers, it’s time to review the estimates and sign a service contract. Sometimes the right answer will jump out at you – one contractor in particular seemed to share your hardwood floor vision, philosophy, and budgetary constraints. Often, two contractors seem to make comparable offers with impeccable credentials. In this case, you may need to take a second look and split hairs. Just don’t underestimate the importance of communication; finding a contractor who is easy to communicate with is valuable in the long run. And don’t just read, but make sure you clearly understand the implications of the service contract. The length and terms of the labor warranty. Hardwood Floor manufacturers generally include product warranties, but these warranties may not mean much if problems result from the installation. A typical labor warranty may last two years, but you should make sure the product warranty will remain valid after the labor warranty has expired. A payment schedule. Never pay for the entire project upfront. Generally speaking, payment should occur in installments and parallel the work as it is being completed. Job Description. Service contracts should be indicative, clear and specific on what work will be done and which area would worked on and how much will be the total cost. Make sure that you are agreeing on a final price. You wouldn’t want any hidden charges jumping on you at the end of the installation process. A timeline. Weather permitting, the service contract should lay out a schedule for the project. In particular, make sure the hardwood floor installer is responsible for any damage that occurs during the project. A reputable company should have means to protect your home while the hardwood floor is being installed. We refinish and install hardwood floors in residential and commercial establishment since 1994. Hardwood Floor Los Angeles custom staining, sanding and buffing, wood floor repair and restoration. Sand Stain and Refinish Hardwood Floors For a new look! Nothing like having your hardwood floors go through sanding, staining and refinishing to bring back their beauty. Making sure that the process is done by a professional hardwood floor contractor, will save you from possible head aches and saves you time and money. Surface finishes are very popular because they are durable, water-resistant, and require minimal maintenance. Surface finishes are blends of synthetic resins. These finishes most often are referred to as urethane or polyurethanes, and remain on the surface of the wood to form a protective coating. There are several types of surface finishes available: water-based, oil-based, acid-cured, and moisture-cured. 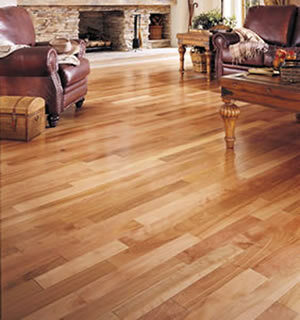 Consult a professional hardwood flooring technician to help you decide on what kind of finish is best for your floors. Call us at 1-888-844-6624 for a free on site estimate. Stains makes your hardwood floor look bad. Removing it can be a simple process or a lengthy one that involves sanding and refinishing the entire floor. To determine how to remove the stain, factors like the condition of the floor, the nature of the stain and the length of time the stain has been on the hardwood floor should be considered. 1. Assess the condition of your floor. If your hardwood floor is new and is sealed well, the stain may be only on the surface and hasn’t reached the wood. In this case, chemical removal should work. If your hardwood floors are older and the seal has worn off or down, you might need to strip and sand the floors for stain removal, and then refinish and seal them. 2. Determine the nature of the stain. Choose a cleaning product that works best with the stain on the hardwood. If the stain was caused by alcohol, candy or other non-greasy foods, fruit, ink, lipstick, nail polish or shoe polish, mix a few drops of a mild dish detergent into a bucket of warm water. Rub the stain with a soft cloth wet with the solution. 3. Use cold water, or cold water mixed with a little ammonia, to remove a stains caused by blood, grease or iodine. Rub the stain with a soft cloth dampened with the cold water or the ammonia and water mix. If this does not remove the stain, saturate the cloth, spread it out on top of the stain and let it sit until the stain vanishes. 4. Eliminate urine stains on hardwood floors. Scrub with a cloth wet soaked in hot water and some scouring powder if the stain is fresh. If the urine stain is old, mix liquid bleach in with your hot water. Use 1 part bleach to 10 parts hot water. Rinse the area with clear bleach after the stains are removed. When all fails, call a professional hardwood floor specialist who is experienced in sanding and refinishing hardwood floors. In this way you are assured that the stains from your hardwood floor will be removed and the beauty of your floor will be restored. A good and professional hardwood floor repairs are very hard to come by. You must research on the credibility and know how of the hardwood flooring company you are hiring. It is also equally important that they are a licensed contractor and comes with a good clientele recommendation. Schedule an appointment with their technician so they can give you a professional assessment of your floor. Happy Thanksgiving everyone! We at Custom Hardwood Flooring Los Angeles is thankful for the chance to bring perfect Floors to your homes. There are varieties of materials and styles for hardwood flooring. You will need to shop around to find the perfect one for your house. Here are the things you have to keep in mind while looking for that perfect hardwood flooring for your house. Determine the areas of the house where you want wood flooring installed and measure it to determine the square footage of the floor. Determine whether a plywood subfloor is already in place (such as in an area where carpeting has been removed). If you’re remodeling, you may find that a 5/16-inch or 3/8-inch engineered flooring product will fit, while standard 3/4-inch-thick flooring would require you to change or trim the doors in the room. In other instances you may want the structural stability of a 3/4-inch product. Consider whether you want an unfinished or pre-finished wood flooring product. Pre-finished flooring has the polyurethane coating already applied, so once it is installed the project is complete. Unfinished flooring requires sanding and coating after installation. Consider the stain color if you are buying a pre-finished product. Unfinished floors are stained after installation, but a pre-finished product comes already stained. Decide if you will hire an installer or if you will be installing the flooring yourself. Flooring comes in varieties that can be nailed, glued, or even affixed with pre-attached strips of adhesive tape. A pre-finished glue-down product is easier for a novice to install than standard unfinished nail-down flooring. Consult your installer before ordering the material. Flooring involves a waste factor that varies with room geometry and the type of product. Expect approximately 15 to 25 percent waste. Make sure that you and the installer agree upon the amount of material needed for the job. Shop at several home centers or suppliers to check out the various products and compare prices. Order the material that you have listed from your chosen supplier. Don’t forget to order other materials that you will need like nails and glue. Put your professional hardwood floor installer to work. Be in constant open communication with your wood floor installer about your preferences and concern. Once the hardwood floor is installed, enjoy the lasting beauty of your investment. For your hardwood flooring needs make sure that you hire a professional hardwood floor contractor or installer. This gives you the assurance that your getting your time and money’s worth. Visit our website www.custom-hardwood-flooring.com for more hardwood flooring information and to schedule your Free on site estimate.